Summer in the city is overrated. Here are five mountain escapes to help you beat the heat. Killington jumped on upgrading their summer activity inventory in 2016, and those investments are coming to fruition at a perfect time: right now. With adventure centers for kids and tons of events for adults, it&apos;s easy to please everyone this summer. 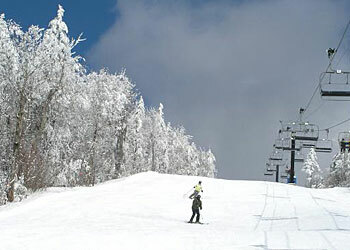 Get the scoop on summer at Killington here. Heads up, wine lovers: Killington Wine Festival, July 20-22. Looking for more great summer activities at North American ski areas? See the top picks for Colorado here, or see SKI&apos;s entire summer content channel here.